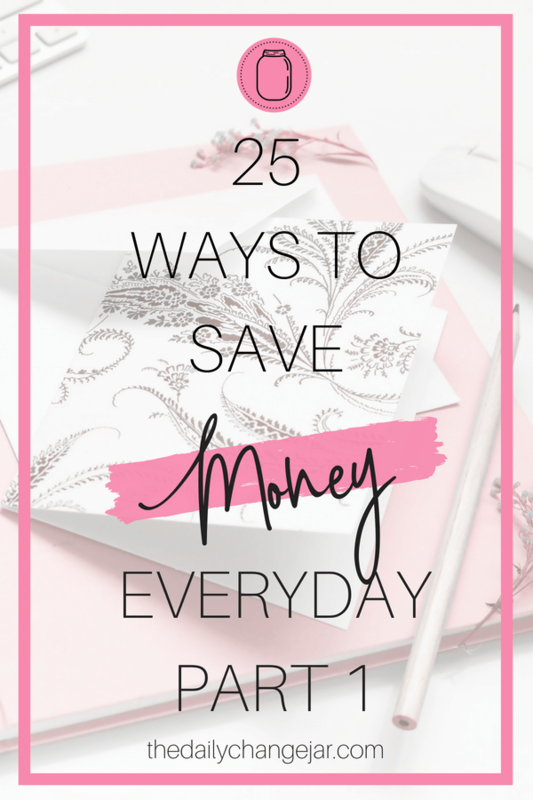 If you haven’t already, check out the other posts in this series you can find them here: 25 Useful Ways to Save Money Everyday Part 2. Part 3, and Part 4. 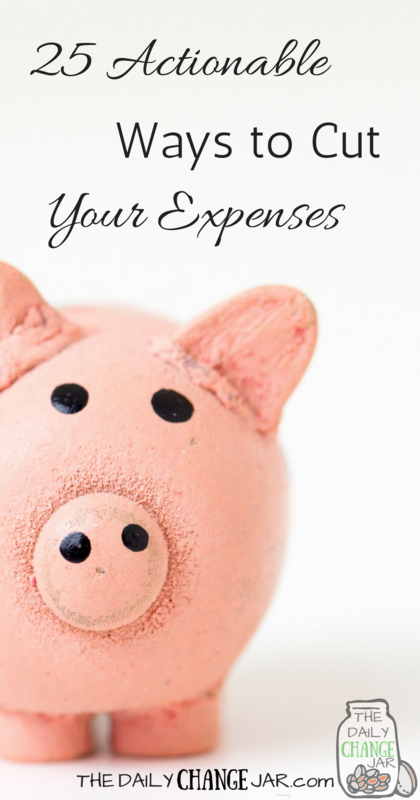 It is always helpful to find creative ways to save money, especially if you are trying to cut back on your spending. 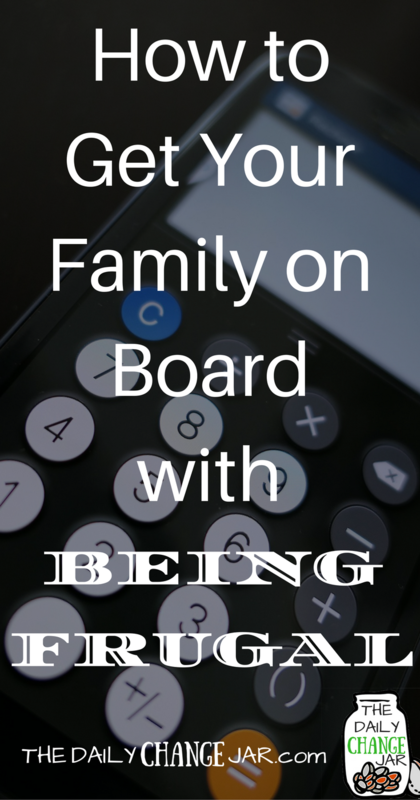 Trying to save money doesn’t have to be stressful or unenjoyable, it can be fun and even a way to get the whole family involved. 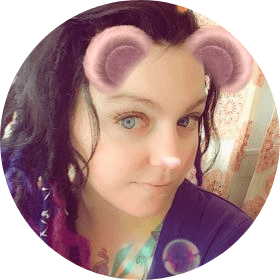 This post contains affiliate links, which means that if you click on one of the product links, I’ll receive a commission or other benefit at no additional cost to you. Thank you for supporting The Daily Change Jar. 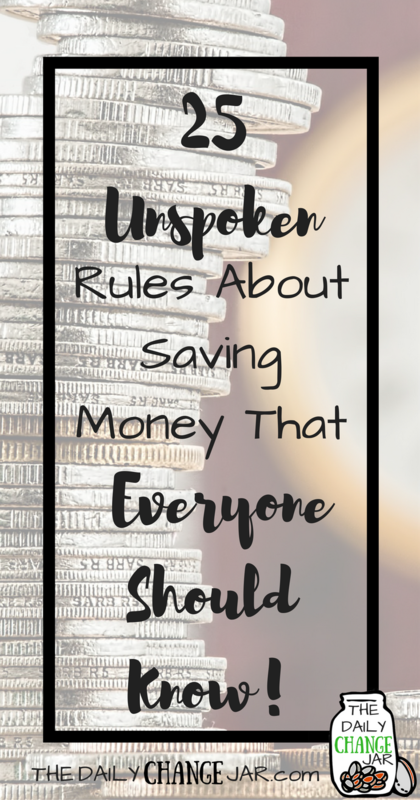 Saving money can be difficult, especially if you are already living paycheck to paycheck. I really love trying to find creative ways to save money. My friends and family sometimes think I’m a little weird when I save dryer lint or old oatmeal containers. 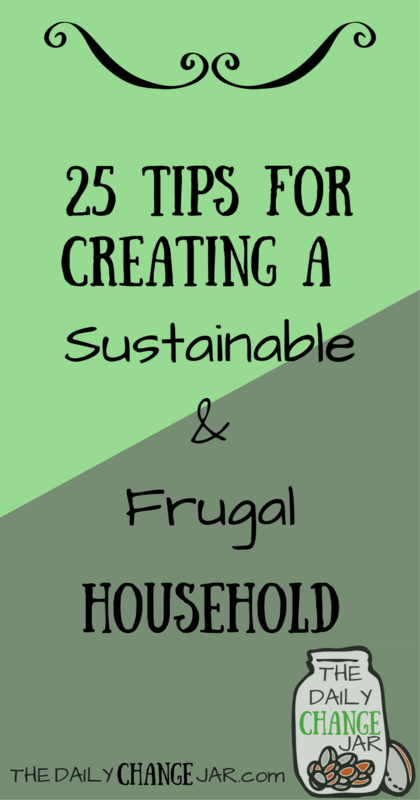 Check out the tips and tricks below on creative and fun ways to live frugally. Need some help with meal planning? 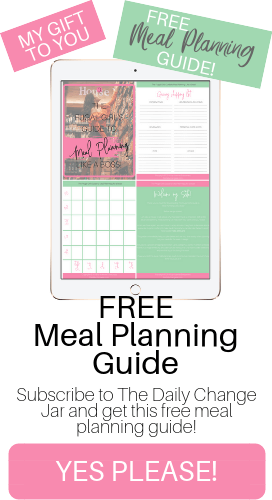 Let me do the heavy lifting for you and email you a weekly meal plan that includes a shopping list and numbered ingredients list so you don’t forget which ingredients go with which recipes! All for less than the price of a fancy coffee! Click the image below to find out more! It has always baffled me when people eat out and they don’t take leftovers. Um…hello, you paid for that! Take it with you! When I worked in restaurants it would drive me nuts how much food was wasted that people would just throw out. (Same goes for just about any place that deals with food). When I take leftovers home from a restaurant, you better believe they are gonna get eaten! Especially from Olive Garden-always good the second time around! This is one of my favorites! I love to find old things and make them new again. People have made whole businesses out of this concept! When I “retire” I want to find old furniture and fix it up new, with a funky twist of course, and resell it at flea markets. So don’t throw away those kitchen chairs because your kids scratched them or ripped the fabric, fix it up and make it nice again! Honestly, this is a must in my household-if there is a way I can figure out how to reuse it or up-cycle it, I will! You might still be asking yourself, so what is with saving the dryer lint and oatmeal containers? Dryer lint stuffed inside of toilet paper rolls make great fire starters for camping or a scout project. Oatmeal containers, they fit standard wine bottles perfectly. Make a nice upcycled wine holder for yourself or a friend. I love shiny new office supplies as much as the next mommypreneur, but let’s get real here. I don’t actually NEED them! 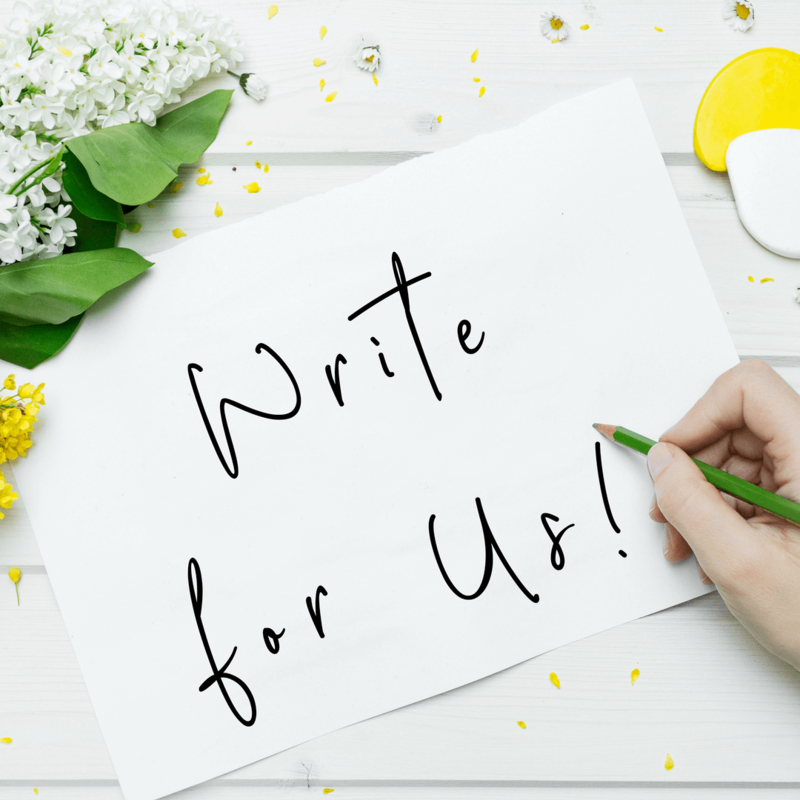 Ah, the crack or a brand new planner, or the click of that beautiful ballpoint pen gives you that special kind of feeling. My desk, I got for free from my old work, which even though it’s not pretty, it’s big and does the job! I can’t tell you the last time I purchased NEW ink cartridges for my printer. I always go to Cartridge World and buy the reused ones-they are like half the price of a new one! 4. Round up your spare change! My parents used to have this large wooden box that they would throw change in. I would guess at any given time there was probably $100 in there! My husband and I keep a change jar in our bedroom and throw all of our spare change in there. My husband contributes most of the change, but it can really add up. I think last time I cashed it in, which was somewhere between 6-12 months of accumulated change, there was close to $55 in there! Cha-Ching! This is also a great habit instill in your children. When they find extra change laying around, make sure they are putting it in their piggy banks! I am a thrift shopper through and through! When I was pregnant; the last two times, I only bought 1 new pair of jeans, everything else was from Goodwill or St. Vinny’s. When it comes to clothing for kids or things that I know I am not going to be wearing very long, I shop secondhand, 99.9% of the time. I have found some pretty great stuff at thrift stores-like Under Armour shorts for my oldest for gymnastics or practically brand new jeans for my son. The one thing that I LOVE about our Goodwill (and I’m pretty sure all Goodwills do this) is they get the clearance stuff from Target after it doesn’t sell. I have bought SO MANY dresses and Target brand things from Goodwill-and they were brand new! So don’t be snobby about your clothes, buy used! *Plus, I have gotten so many compliments on things that I have bought and people are surprised when I tell them I purchased it thrifting! 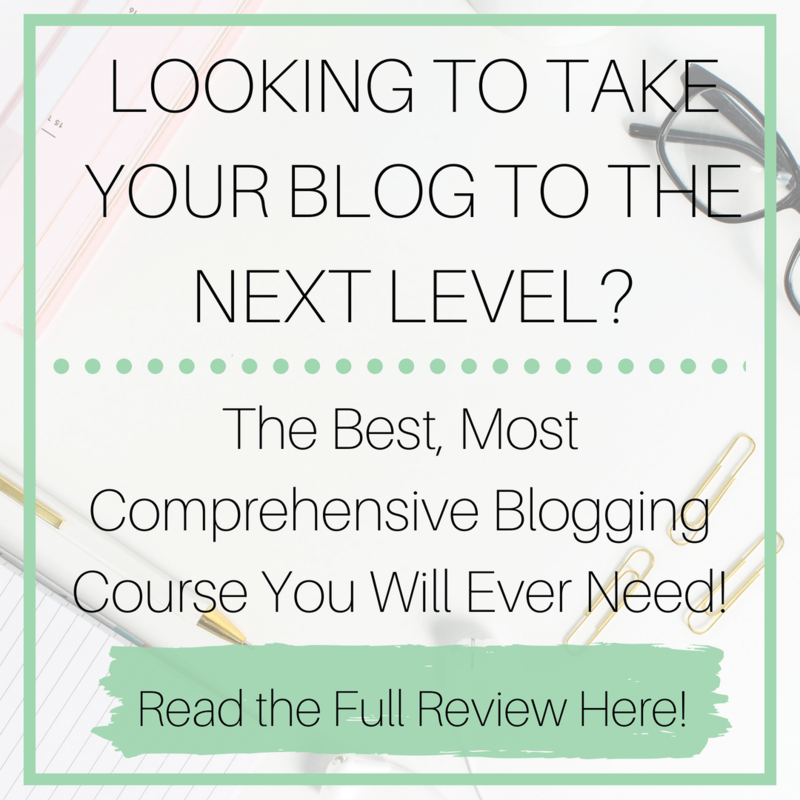 This takes a little more advanced planning on your part, but it is worth it, trust me! When I say shop seasonal, I am referring to shopping AFTER the season is over. This works for just about everything-back to school, Halloween, Christmas-you name it. When it comes to school supplies, I save the list from the previous year and get as much stuff as I know they will need for the following year-it generally stays the same. For Halloween, purchase costumes for the next year when all the costumes are deeply discounted. We had costumes for our kids for a couple years in advance by doing this! This tactic can be used for bigger purchases like a new Christmas tree or smaller ones like greeting cards. 7. Don’t create more garbage! It has become a pretty big trend now with reusable water bottles and the like. However, it is also frugal living at it’s best. I used to make “snack bags” for my kids each week so they could grab snacks on the go. Now when I make “snack bags” they are actually reusable containers. My absolute favorites are the Sistema brand, which you can order from Amazon here. *Bonus-they are also BPA free! They are a little more of an upfront cost, but in the long run you can save quite a bit over buying disposable bags. Same goes for school lunches-use reusable instead of disposable. Plus you will feel better knowing you are not contributing to landfills. You can also use reusable sandwich bags and lunch bags for lunches. My personal favorites is the BYO brand. They are super durable and can fit quite a bit of food. It’s also a good idea to purchase yourself a reusable water bottle rather than buying plastic ones all the time. The MIRA ones are great, especially for the kids, again durability it key here. I personally prefer glass ones, but my last two broke, so I gave up on that 🙁 Don’t forget about reusable utensils, Sistema is a good brand for this again. 8. 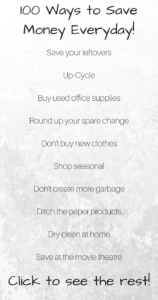 Ditch the paper products! Take a look at everything in your house that is a paper product. Paper plates, paper towels, napkins, toilet paper. There is a lot and it can really add up! Although there is a large convenience factor to using these, they are costing you! Ladies this one is specifically for you! Ok, so there are a few issues with using disposable pads and tampons, they are not great for the environment, or for you. There are actually a lot of different chemicals in pads and tampons-not cool! You can solve this by either investing in a reusable menstrual cup-which is not at weird as it sounds, or some cloths pads . Do you have dishes sitting around that don’t match a set-UPCYCLE them! Use them to give gifts to others or make some shnazzy yard art. Also, if you have a habit of leaving dining ware at parties, put those Christmas cookies on that mismatched plate, it looks a little nicer than using a paper plate (which you have already done away with). Try to plan your meals so you have leftovers. This saves time and money. Really…how many times have you been running around all day and not had time a cook a meal between everything else you have going on? If you make enough and have leftovers, this will prevent you from spending extra and having to eat out. Related post: The 6 Most Effective Ways to Meal Plan! Ok, so I try to avoid buying things that are dry clean only when purchasing clothes. However, there are those super cute pieces that I have found while thrifting that are dry clean only that I just could not pass up! So instead of taking them to the dry cleaner-besides, who has time for that anyways! I use the Woolite Dry Clean sheets-lifesaver! However, I feel like she can be really wasteful when she bakes and there is flour, sugar, and butter all over the place. So I try to make sure that she is not being wasteful and have her scrape the butter wrappers and add any excess to the recipe or the actual container of butter. Same with the flour and sugar that winds up all over the counter. My husband has a really hard time with this as he is a huge comic book fan and every time a new comic book movie comes out he has to go see it! I save him money by staying home with the little ones 🙂 Try checking out movies from the library or if you just HAVE to go see a new movie, check for days and times that have discounted prices. My kids are terrible at not using the last of everything in jars, tubes, and other types of containers. I make sure that I scrape the last little bit out of everything and generally just add it to the next container-peanut butter is a big one. I purchased these little toothpaste tube squeezers so that they aren’t throwing away half a tube of toothpaste when they think it’s empty-true story. I’m sure if you really looked through your budget you could find a few subscriptions that you could cancel-magazines, newspapers, paid versions of things you can get free (with commercials), Netflix, Hulu. We personally canceled those along with our cable a long time ago. It was not worth the money when our kids were fine with just watching one of the 1000 movies we already owned. 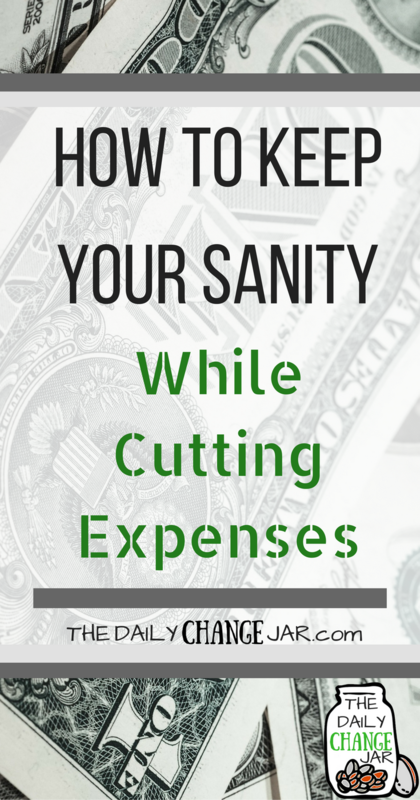 How to STOP living paycheck to paycheck without losing your sanity! Although I despise commercials on Pandora, I normally listen to it while on my computer which has a mute button. There are other free versions of things like Amazon Prime-which I already pay for, Spotify, and YouTube! It’s not worth paying a couple extra bucks a month to go without commercials when I can just mute them and save some money. So make yourself a playlist and start saving! 18. 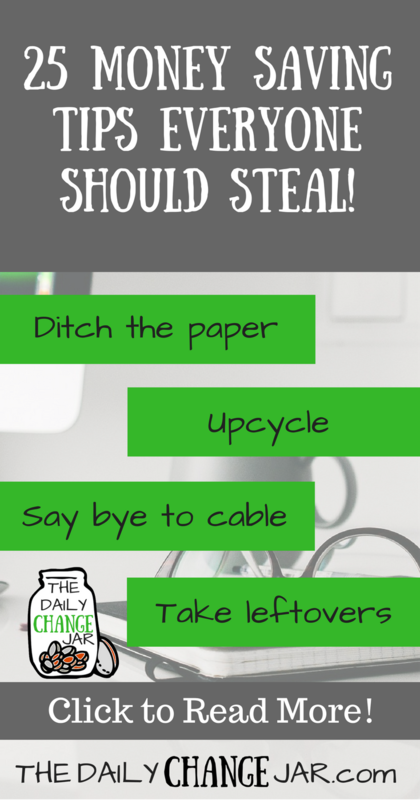 Get rid of cable! Ok, so I already said I did this a long time ago, but seriously, do you really NEED cable services? If you do find that you still need some kind of TV service, (although I don’t even have these anymore, but we went from cable to these options and then eventually got rid of those) Netflix, Hulu, and Amazon offer just about anything you need when it comes to your television entertainment needs. Check it out! 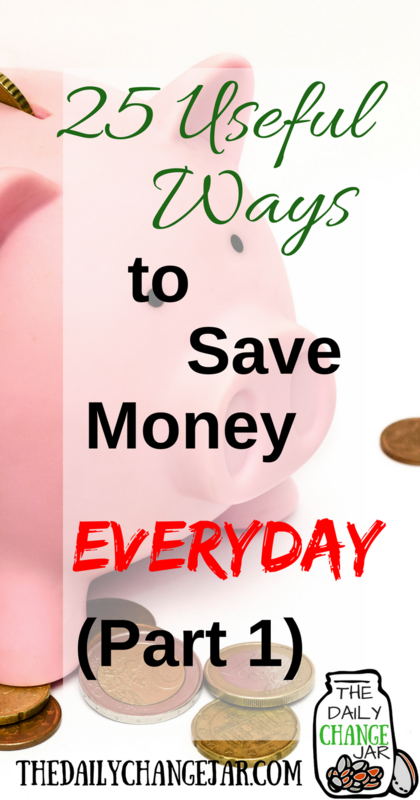 Get the detailed PDF on 100 ways to save more money everyday! So I know this post is about SAVING money, but hear me out. There are a lot of reasons that I love Amazon Prime! I originally got it when I was going to college and needed to order books-they offer free 2-day shipping on college books. I use it now for the free shipping-I love me some books-the streaming video services, and when ordering the kids Christmas gifts online. Prime, although there is a small initial yearly investment, is well worth it! If you have kids especially, start going to the library more. My kids personally LOVE going to the library and checking out books and movies. Sometimes we can even get games and there are always free events going on. Like family Lego nights, STEM-based events where they get to build things, and movie nights. For the adults, there are tons of resources. Books, audiobooks, videos, and I know at our library you can even rent certain equipment. Pretty awesome and FREE resources. Plus it’s always a nice, quiet place to go work when the hubby is home with the kids. I have never really been one to stick to brand loyalty, I go with whatever is cheapest. I know people that spend 3 times what I do on laundry detergent because they like the smell of the certain brand. Yeah, I like my clothes to smell nice too, but I would prefer to just buy the cheap stuff or make my own and save a few bucks. I have ONE exception, I do buy Unstoppables once and awhile to wash our blankets, only because after our dogs lay on them I can’t get the smell out with anything other than some kind of laundry scent booster. But again, it doesn’t have to be a certain brand, I get whatever is on sale-as long as it will get the dog smell out of my blanket! It is a rare occasion that I actually purchase coffee from Starbucks or other coffee houses. It is crazy how much that stuff adds up! Think about it, if you purchased a Starbucks drink-hello Salted Caramel Mocha-which generally runs about $5.75 we’ll say with tax, and you get that 5 days a week on your way to work in the morning, that’s $28.75! 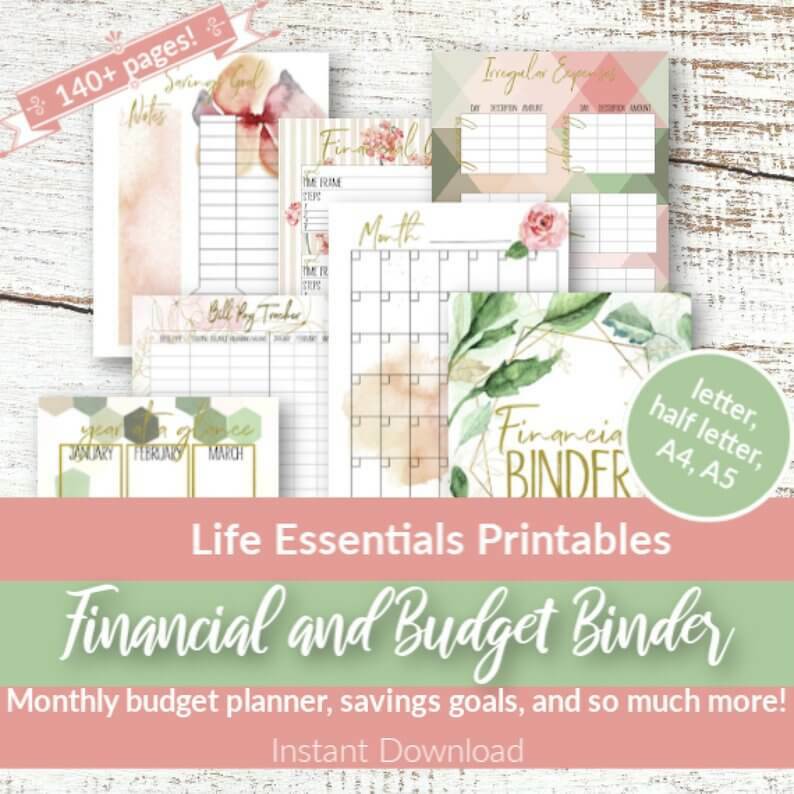 Take that times 50 weeks in a year (assuming you aren’t getting on any other days of the week or on vacation) that’s $1,437.50! That could have gone towards paying off some debt or being put into your savings or emergency fund. I make my coffee at home with a cute little french press I bought for about $10 and buy ground coffee and creamer from the grocery store. I cost me approximately $10 for 2-4 weeks worth of coffee depending on how much caffeine I am in need of. That is a HUGE savings! I’m sure this has happened to all of us. You get in a fight with your significant other, or your kids have been driving you nuts all day, or you just had a bad day at work. You pop into Target, buy that Salted Caramel Mocha and before you know it you walk out with a new pair of workout leggings that were too cute to pass up, a pair of new boots, cuz you found a pair that actually fit amazing, a new lamp for your bedroom that matches your bed set, a bottle or wine-cuz it was a bad day, treats for the dogs because they have actually been good lately, a pack of hair, skin, and nail vitamins in hopes that they will make your life better somehow, oh, and a pack of that new dessert gum in the checkout lane, you know so you can chew on that next time instead of bingeing on those cookies that your daughter made the other day. Well, crap, there went your grocery budget for next week. Instead, if you need to de-stress, try something that is not going to ruin your budget you worked so hard to keep on track. Go to the library and check out an old romance novel or movie, take a bath, warm up some leftovers and lock yourself in your bedroom for a while without your phone, iPad, or computer to tempt you into shopping online-which can be even more dangerous. How to Permanently Stop Financial Stress, Even if You’ve Tried Everything! But it can seriously help to realize where your money is actually going! Just remember, you should control your money, it should not control you! So this can be a difficult one, but save you a TON of money! These include things like cigarettes, alcohol, and in-app purchases. Cigarettes, tobacco chew and anything of the like-first off GROSS! Secondly, add up how much you actually spend on that stuff. If you absolutely need to do something, look into vaping. My husband switched to this a few years ago and saves a lot of money, plus he smells much better and isn’t slowly killing himself. Alcohol-now I love my wine as much as the next girl but think practically here. Going out to drink at a bar, or having a few drinks when you go out to dinner, is fine once in a great while if you are celebrating with friends, but that adds up so quickly! If you are going to drink, try and find some good stuff on clearance or have a get together at the house and ask everyone to bring something to share. I have found on great deals on seasonal wine and alcohol, especially in the clearance sections. In-app purchases. Ok, so if your kids play on your phone or can access anything that has an in-app purchase, make sure you have some kind of lock on there. This has happened to me twice-one my daughter was watching Peppa Pig and somehow was purchasing episodes rather than watching free ones because apparently, we didn’t have a child lock on what she was using. Luckily I get notifications on my phone and stopped her after about $3 worth of episodes. Another time one of the kids was playing a game on my phone and bought coins for some game for like $10. Ahh! So make sure you are restricting access to that stuff and not spending yourself. I have heard of people blowing their entire rent payments on things like World of Warcraft! Don’t be that person! There are TONS of ways to get creative with saving money. This list is by no means all-inclusive. 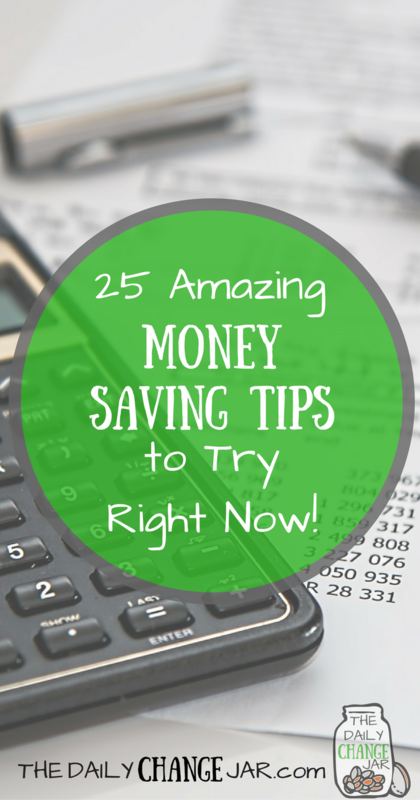 This is a list of 25, which is part of a series post that will add to 100+ ways to get creative with saving money. 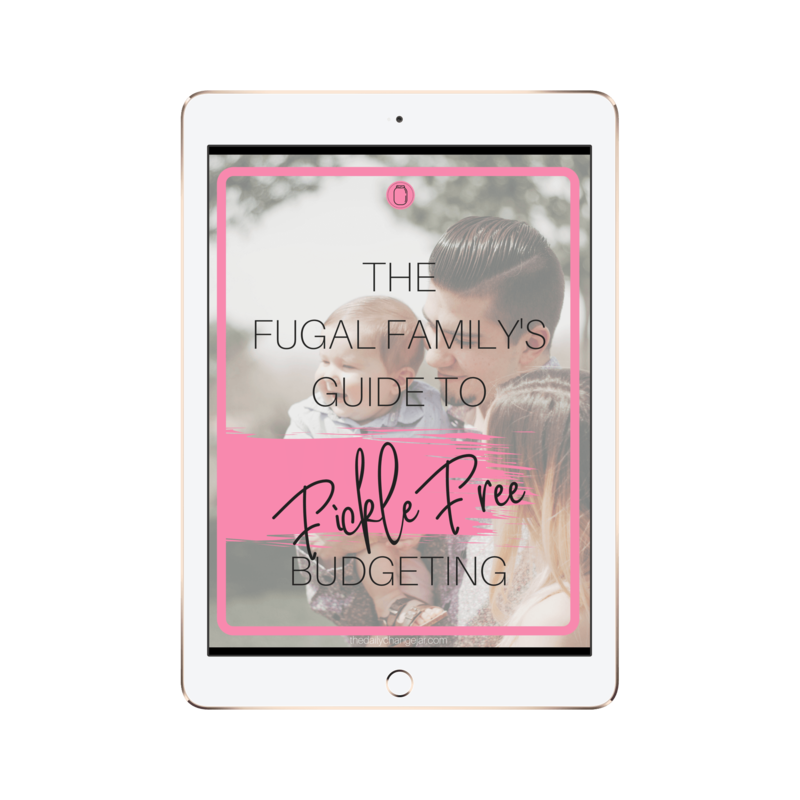 So check back over the next week or so for updates and a free printable that easily outlines ALL of the ways to save money. What are some creative ways that you have saved money lately? You mentioned using Unstoppables for washing your dog blankets, I read a tip online about getting the smell out of towels using baking soda and vinegar. I found it worked great on towels and also for hubby's sweaty work clothes. I will be trying out on the dog's blanket next time I wash it. Hi Sue, thank you for reading! I have used vinegar and baking soda as well! One tip you might consider, sprinkle some essential oils on the baking soda for a fresh scent boost!